The changing of the seasons once again brings us around to the summer movie bonanza, with franchises as far as the eye can see. Starting off in pole position is a bit of a doozy, as the studios waste no time in giving people an extravaganza. By now, most people have come around to the idea that when it comes to blockbusters, it’s Marvel’s world, and we’re just living in it. 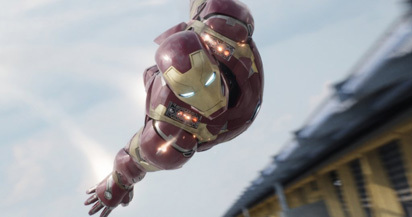 Captain America: Civil War takes what was once towards the lower end of the ambitious but triumphant MCU project and boosts it to co-leader alongside the Avengers films, taking one of the highest profile stories from the comics in recent years – in that it’s one of the things that people who don’t read comics might have heard about – and bringing it more or less intact to the big screen. Following the run of incidents over the last eight or so years that have rocked the version of Earth in these movies, political agencies have started to attempt to rein in super-powered humans, creating a registry and/or benching powered people who won’t get with the program. This splits the Avengers in two, between those frightened of the potential of supers, and those championing the idea of freedom regardless of the consequences. In the comics world it was a (to simplify things) nuclear explosion that set off our plot, but here it’s the fallout from the Winter Soldier movie and the reveal of Hydra, along with Captain America’s continued defense of Bucky Barnes – his former comrade who was given super soldier formula and a brainwashed Hydra sleeper agent. So we have one side, led by Captain America and Friends, and another, led by Iron Man and Friends, pitting themselves against each other in friend versus foe match-ups that are strangely evenly matched in skill and ability and hmmmmmm... (like, did they set out ground rules ahead of time? Weight classes like boxers or wrestlers?) There’s a feeling that this is really all just a backdrop for a bigger conflict, a la Batman v. Superman except, you know, good, but for now, taking the already-showing-signs-of-strain team and pitting it against itself makes for a fantastic “Who would win” scenario. To the mix of already known characters, we get two additions – Black Panther, and most notable, the return to the MCU fold of Spider-Man, the big missing piece of the puzzle, and worth the millions it took to get him back, if only for this film.